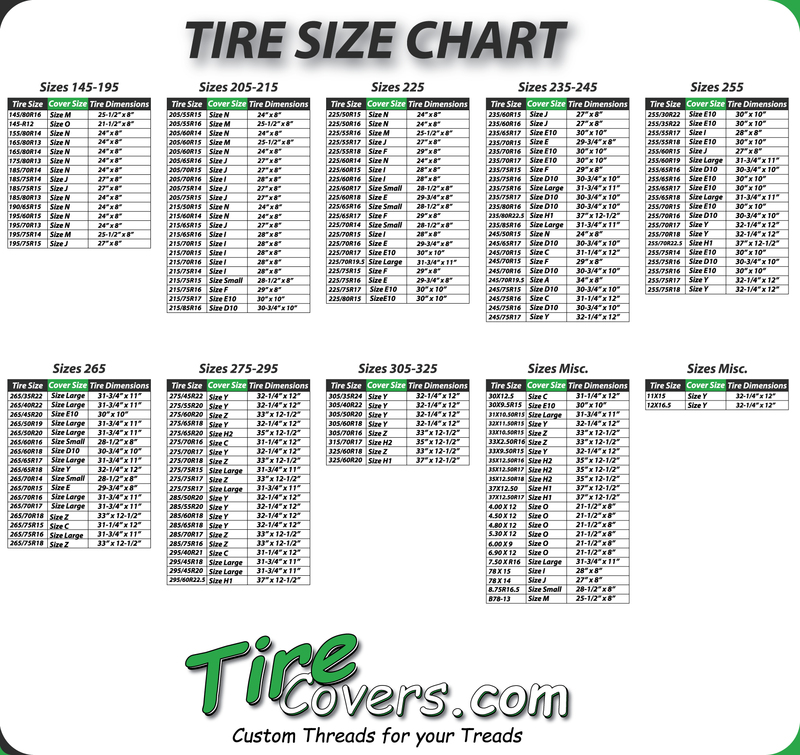 Get your custom designed tire cover from tirecovers.com because we're an American company who makes everthing here in the USA and not from overseas. We secure your information and don't sell it to third parties and we use the best quality parts and components to make the product. Trust the best and don't settle for less. Here at tirecovers.com we are looking out for you and our country.